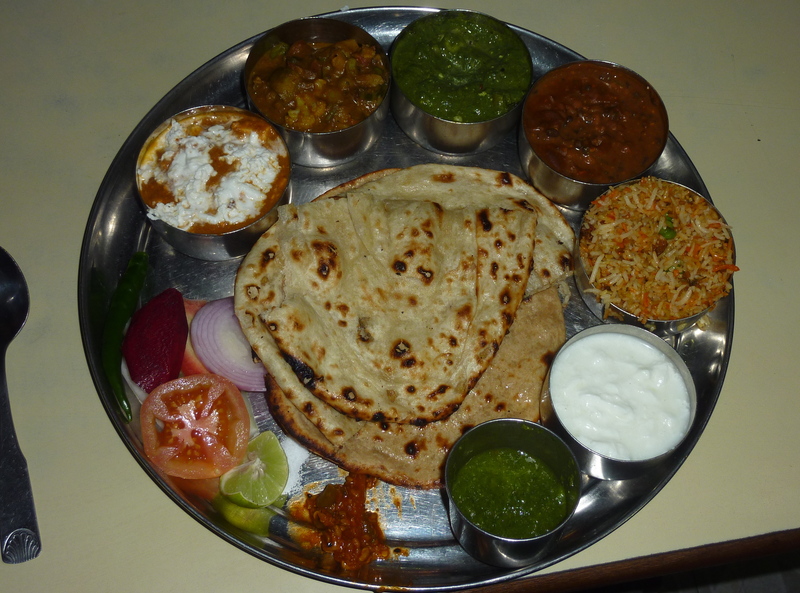 I love travelling by train and thus I took to the rails whenever possible in India. I’d highly recommend doing the same should you ever have the chance. It’s a great way to see the country and while the trains I took weren’t exactly of the same caliber as the Darjeeling Limited, they were comfortable nonetheless. Train travel also keeps you off the roads and that is highly advisable in India if you’re into being alive. But best of all… meeting people is easy. The sleeper classes in which I generally travelled we’re filled with what appeared to be middle and upper-middle class Indians. 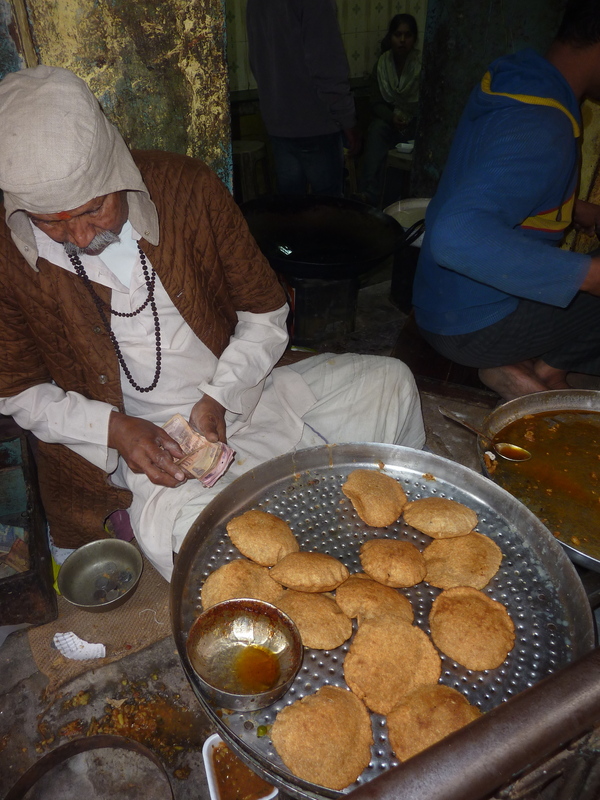 Many of my co-passengers were very friendly, spoke excellent English and were only too happy to chat with me over a cup of chai which is readily available from chai wallahs – dudes who roam about the trains keeping everyone sorted for hot, sweet and strong tea with milk. Many of the most enjoyable and insightful conversations I had with Indians occurred on trains. High marks for train travel in India. And if you’re traveling primarily by sleeper class or AC class, do yourself a favor and take a second class car for at least a short trip. It’s an experience, to say the least, and I don’t think you can rightfully say you’ve done Indian Railways if you haven’t rocked it in second class at least once. 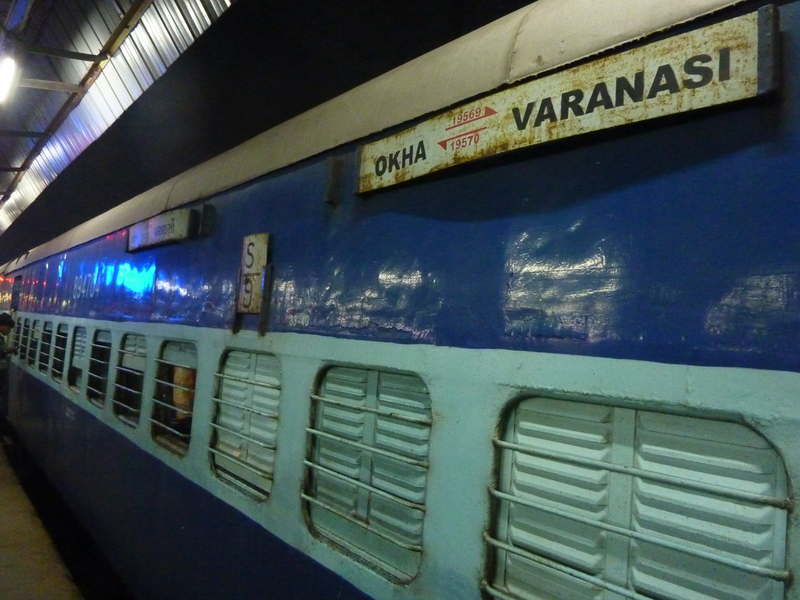 I arrived in Varanasi after a very long train ride from Kolkata at around 10 in the evening where I was greeted by both a blackout (not uncommon) and some sort of religious festival (also not uncommon). Luckily I’d emailed my guesthouse with arrival details and they had sent a rickshaw driver to the station for me as finding it on my own would have been nearly impossible. 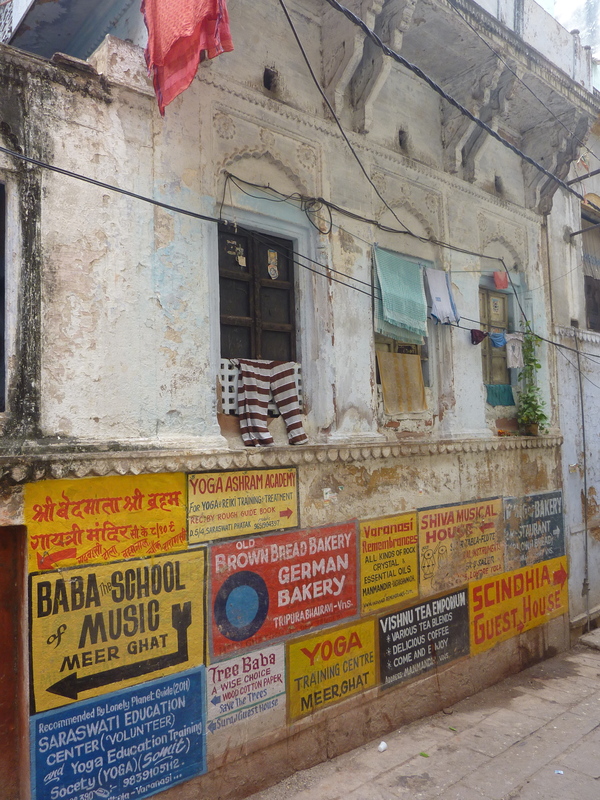 The Old City is a maze of ancient buildings in which addresses and street names seem to be virtually non-existent. 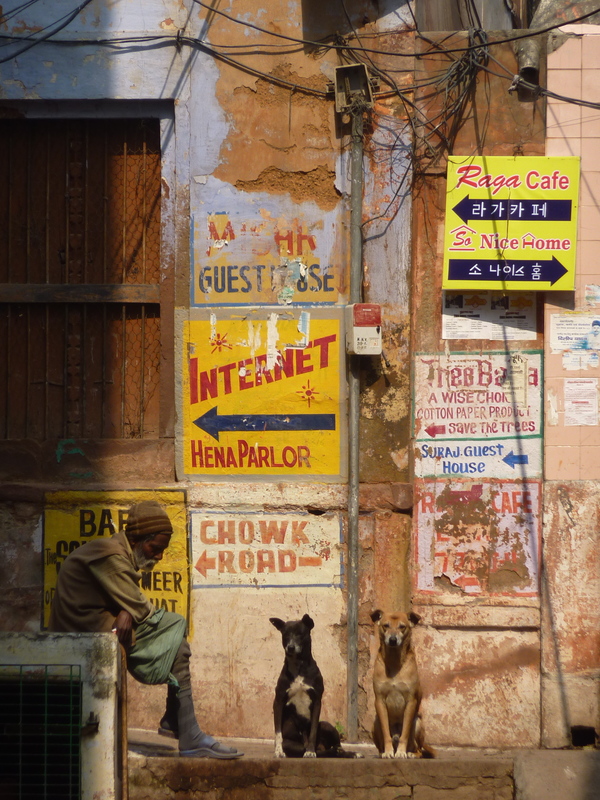 The best you can hope for in that regard are the many colorful hand painted signs on the walls that seek to point you in the direction of some of the more enterprising restaurants, hotels, yoga studios and music shops in the area. It’s a confusing scene to say the least and even during daylight hours after having been in town for a few days, you run a very good chance of getting completely turned around. The ancient streets (more like corridors) are so narrow that rickshaws aren’t permitted into the heart of the Old City and thus I had to walk the final portion of my journey from train station to guesthouse. 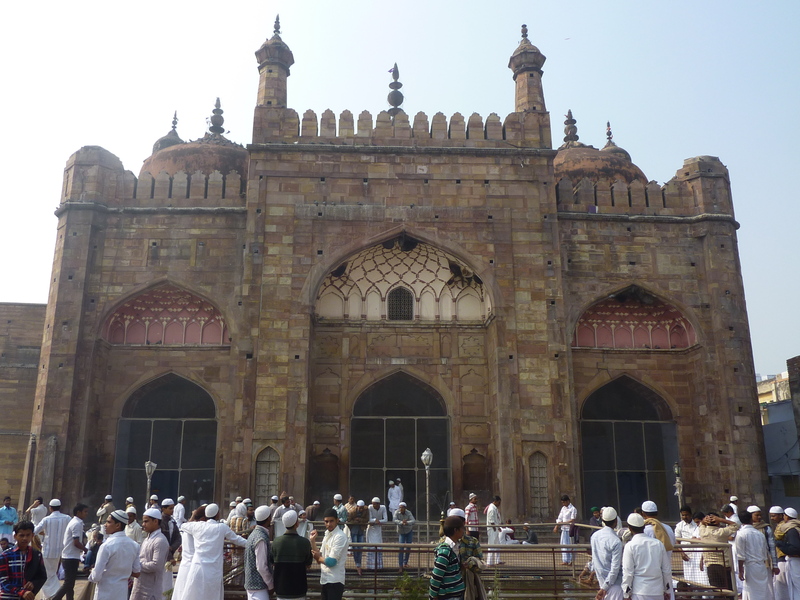 Fortunately my rickshaw driver arranged for a very old gentleman in a long white robe to lead me the rest of the way. I must admit that I questioned the wisdom of following him into the near pitch blackness of several of the alleys down which he lead me as I had all of my possessions strapped to my back. But I followed him anyhow and after a seemingly endless series of twists and turns we arrived at my lodgings near Lalita Ghat where I was greeted with a warm cup of chai and some bad news… my room was unavailable as another traveler and her eight year old daughter had been taken ill and thus were unable to vacate the room as they were supposed to be have done earlier that day. Bummer… for them and me. Thus it was back into the labyrinth and eventually over to another guesthouse where I promptly collapsed into bed upon arrival. 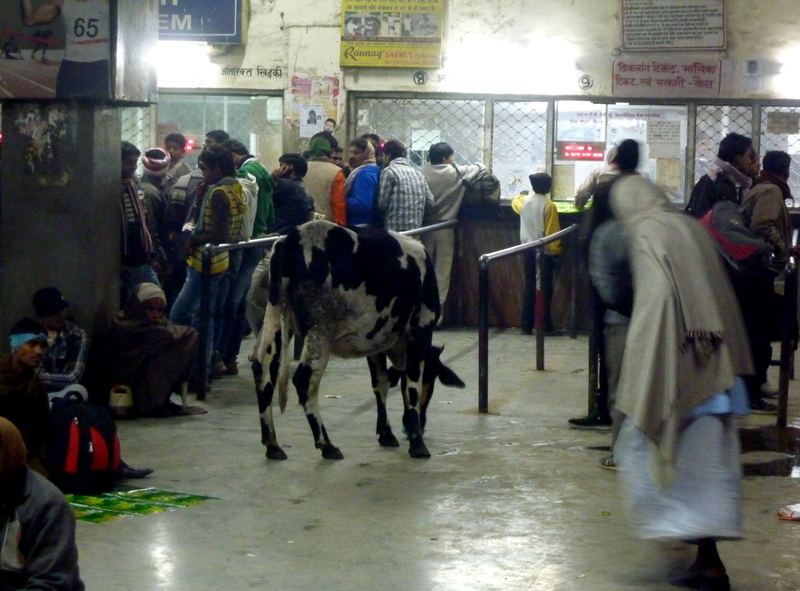 The journey from train station to guesthouse was probably a fitting introduction to Varanasi in as much as the city is pure madness. Lonely Planet calls it the least discrete place on Earth and I see no reason to disagree. 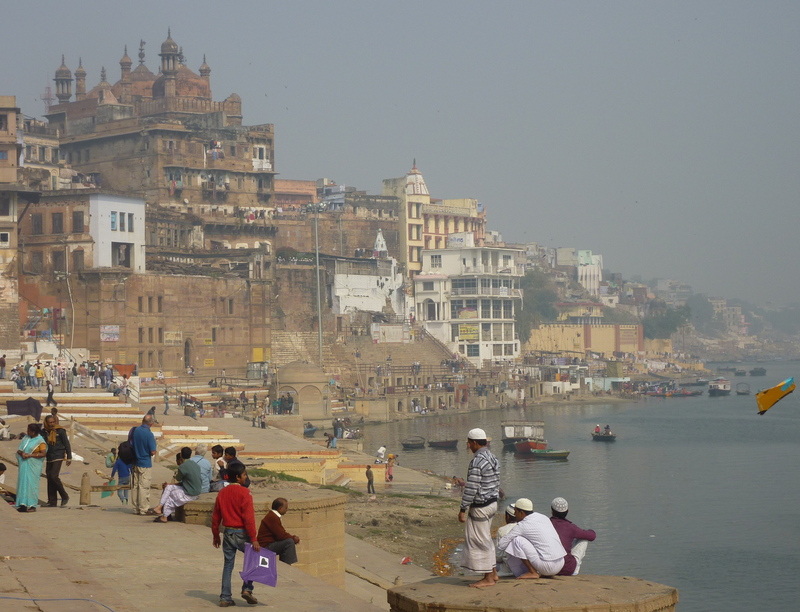 If life is indeed a rich pageant then there is nowhere else that I’ve been where that pageantry plays out as fervently and as publically as in Varanasi. 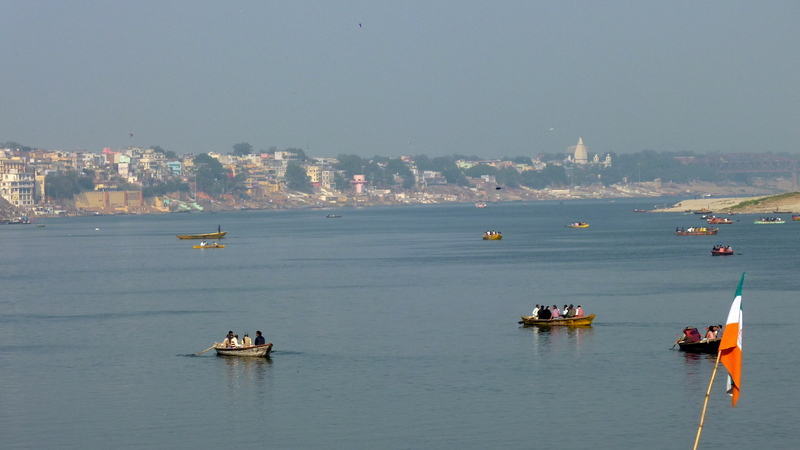 The city sits aside the sacred and horrendously polluted Ganges River and is one of the oldest continuously inhabited sites in the world (c. 1500 BC). 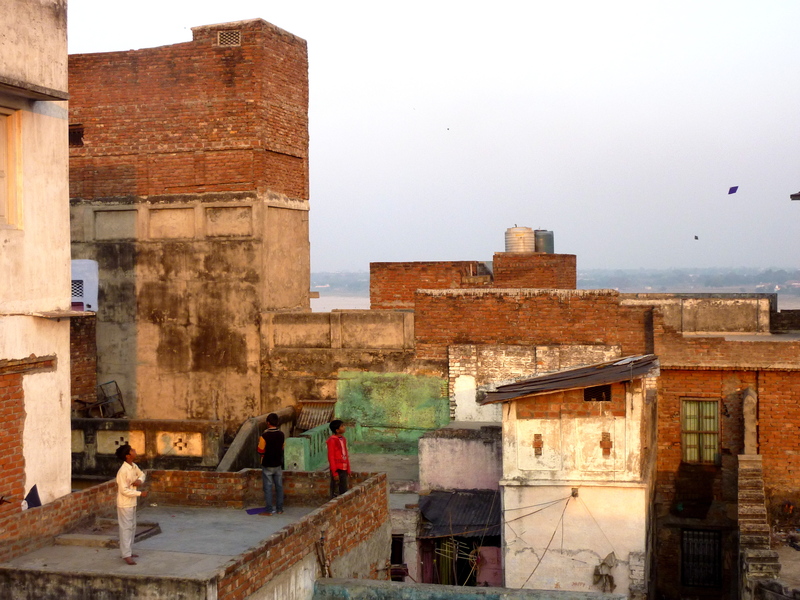 It’s about as holy as a town can be for Hindus and, as such, it is often thought of as the spiritual capital of India. 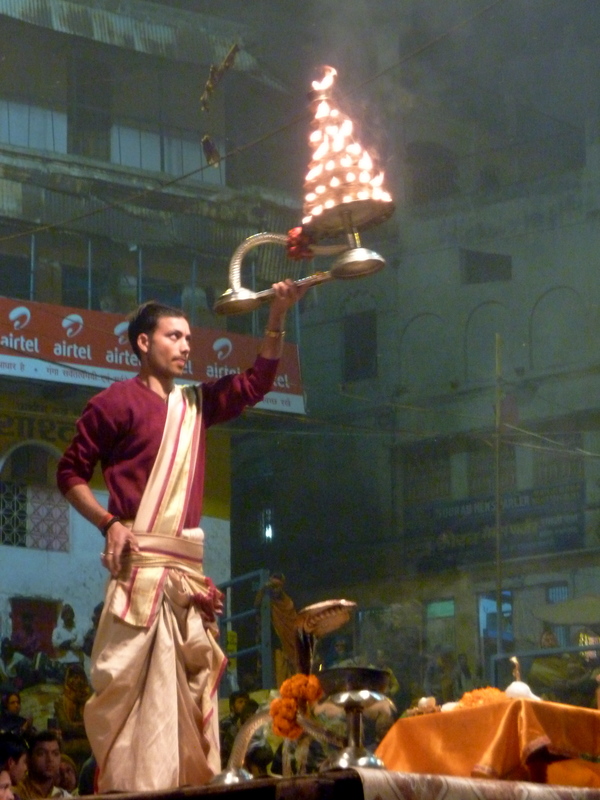 In fact, many Hindus believe that simply dying in Varanasi and being cremated there assures one of escape from Samsara – the endless cycle of birth and death. I’m a bit dubious on that one as it seems to me to be a little too convenient of a short cut to liberation. But who am I to hassle it? And, of course, we went to look at some silk scarves at the factory at which he also “worked”. I was definitely not in the market for any sort of silken finery but I agreed to sit through the sales pitch nonetheless. 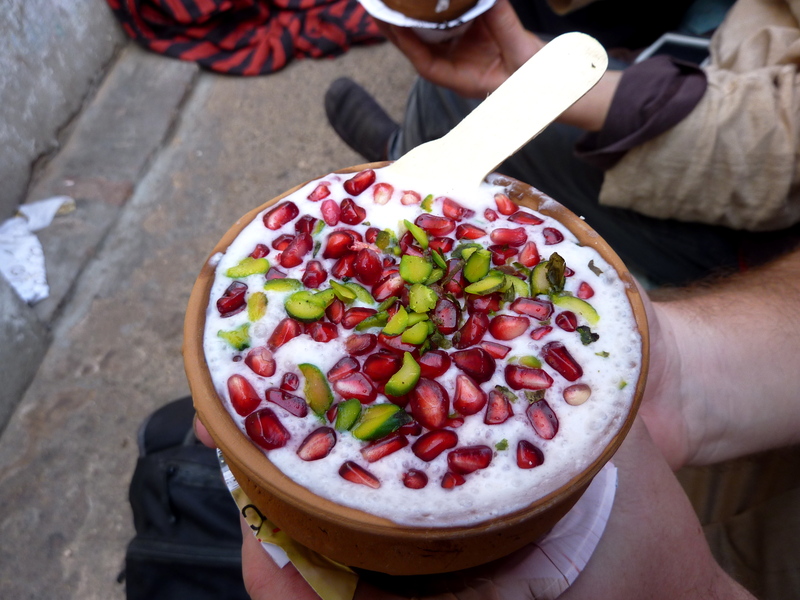 And though I’d certainly grown weary of the hard sells that you’re constantly subjected to as a traveler in this part of the world, the chai they served me was good and I ended up being so impressed with the salesman’s technique (think suavely tenacious) that I agreed to buy two out of sheer admiration for his gamesmanship. It was truly impressive and if the scarves can be thought of as the price of admission/tuition then they were well worth the purchase. Anyone want to buy one? 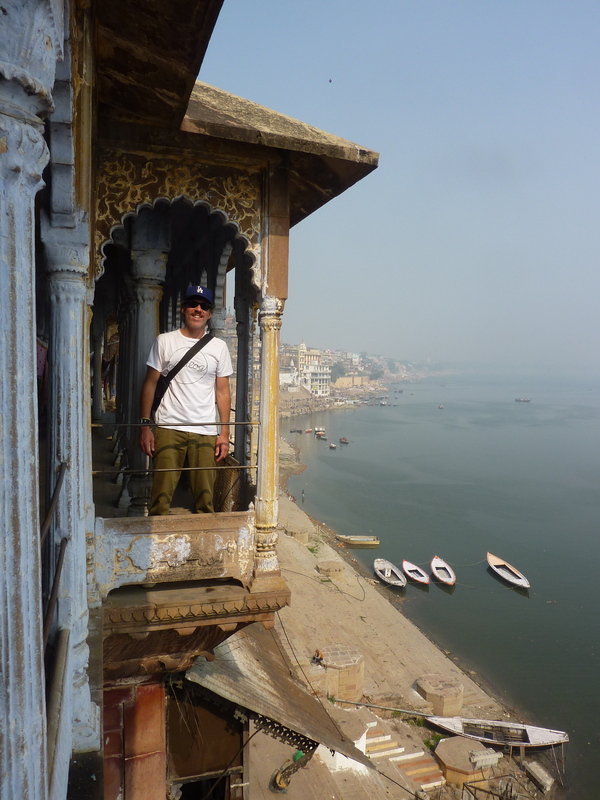 My guide also led me far deeper into the mix at the Manikarnika Ghat than I otherwise would have been comfortable going on my own. 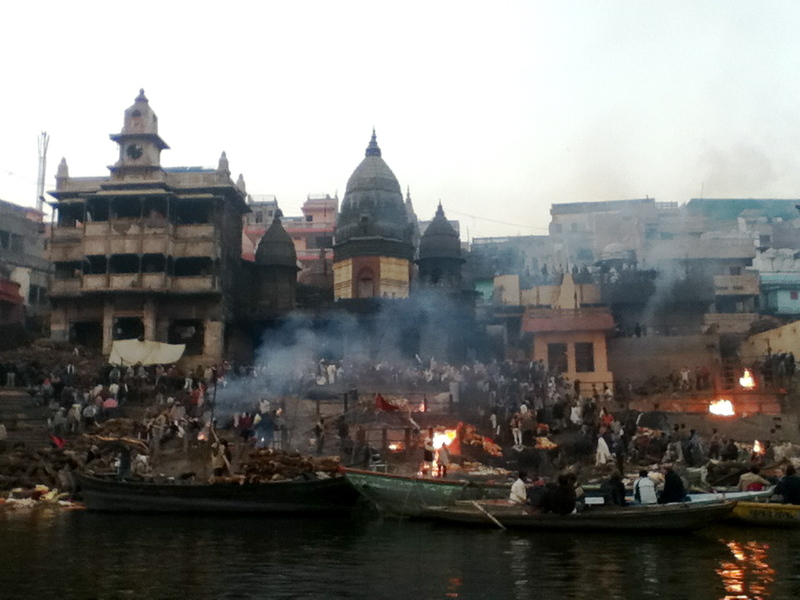 Manikarnika is the main cremation ghat in Varanasi and at certain times of day it looked downright apocalyptic. 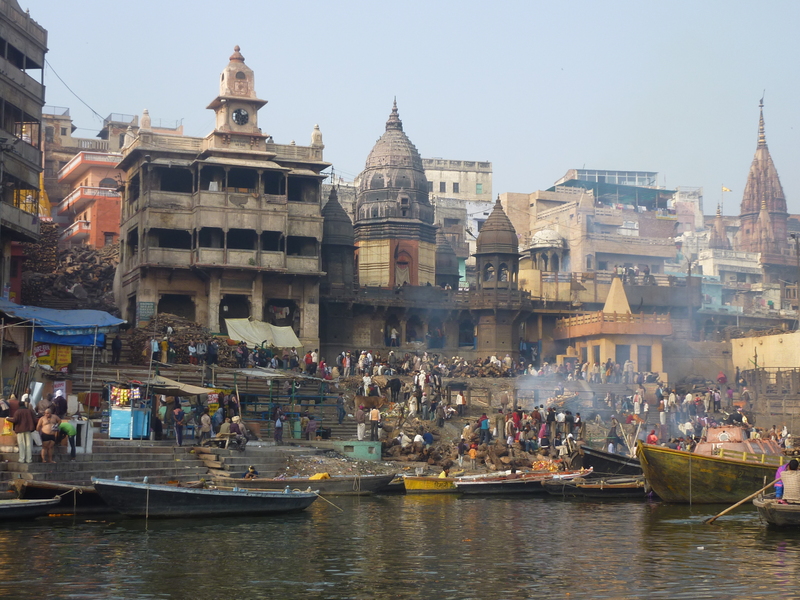 Cremations take place just feet from the Ganges in several fire pits which might explain part of the reason why the river is so badly polluted below Varanasi. Workers build and tend to the fires and tote firewood ashore from the delivery ferries on the river. Barbers stand by at the ready to offer their services to the eldest son of the deceased as it is he who takes charge of the ritualistic bathing and final preparations of the body and it is customary for him to shave his head before doing so. New bodies wrapped in ceremonial shrouds arrive regularly atop wooden stretchers carried overhead by family members through the narrow walkways and alleys (inaccessible to cars and rickshaws) that lead down to the ghat. It’s a 24 hour a day, 365 days per year affair and there were no fewer than 3 or 4 cremations underway whenever I passed by. It was a flurry of activity down there and it was absolutely fascinating. Seeing it was one of the most thought provoking experiences I’ve ever had in as much as it forced me to really think about my own mortality in a way that few other people, places or events have. It was unsettling as you would probably expect. But it was also unexpectedly comforting. There was something accepting in the manner in which death was dealt with by the living at Manikarnika that seemed to make it a far less fearful thing than death as I’ve experienced it in the United States. I’m sure that much of that has to do with the Hindu belief in reincarnation and the comfort to be taken therein. I don’t share in that belief and yet there was still something reassuring in what I saw down there. I believe that I’ll forever think of death differently having visited Manikarnika. I spent my final evening in town having dinner in the open air at an open air restaurant atop the roof of one of the higher hotels in town. From one side drums and harmonium drifted up from the evening Aarti ceremony while from the other side I could see the comings and goings at Manakarnika. 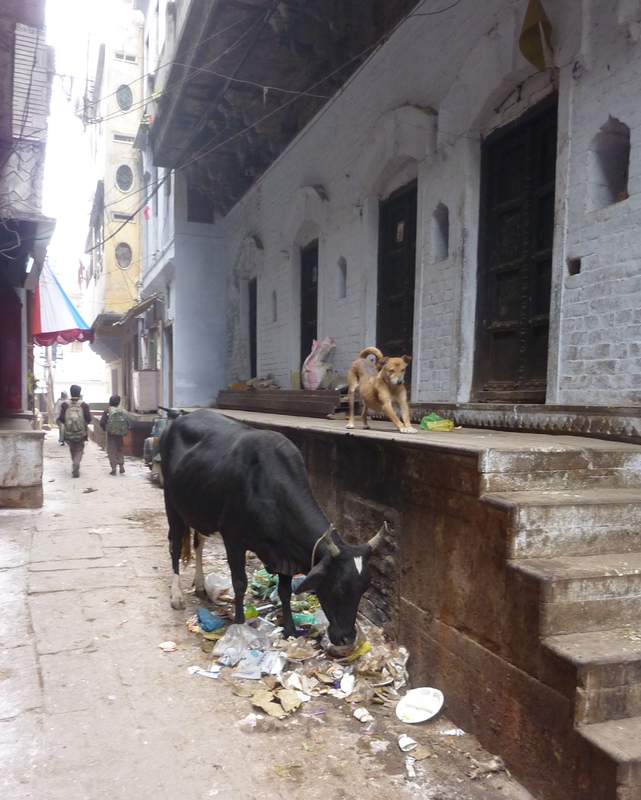 I could also periodically hear singing, praying and chanting from various homes and temples throughout the Old Town. 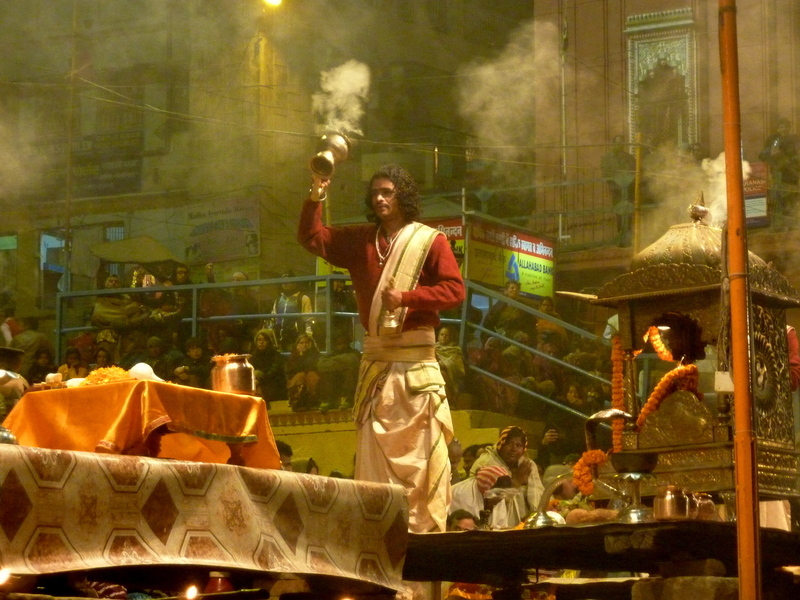 The cool night air was heavy with the smell of Indian food from the kitchen, incense from seemingly everywhere, and smoke from the cremations below. And a nearly full moon shone over it all. It was a wonderful opportunity to bid farewell to the city while soaking it all in one last time. 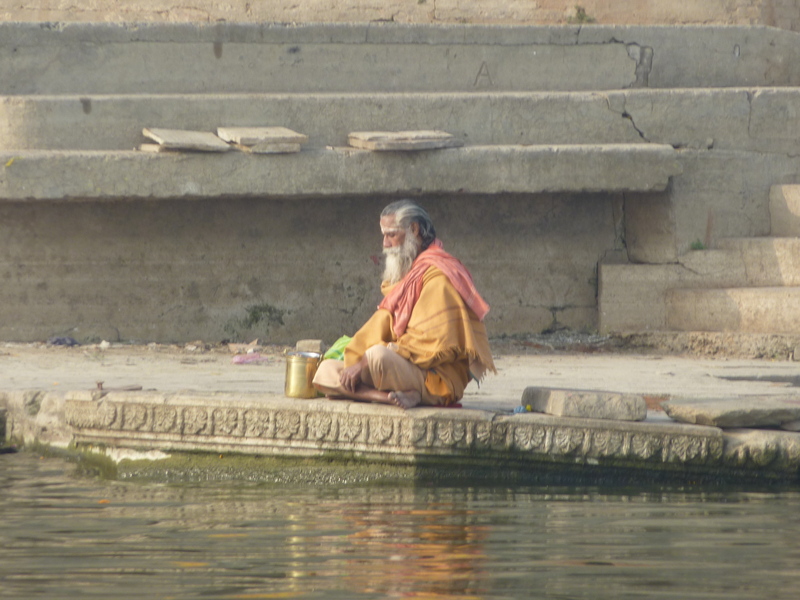 Varanasi is like no other place I’ve ever been. In fact, I find it hard to believe that there is anywhere else on Earth quite like it. 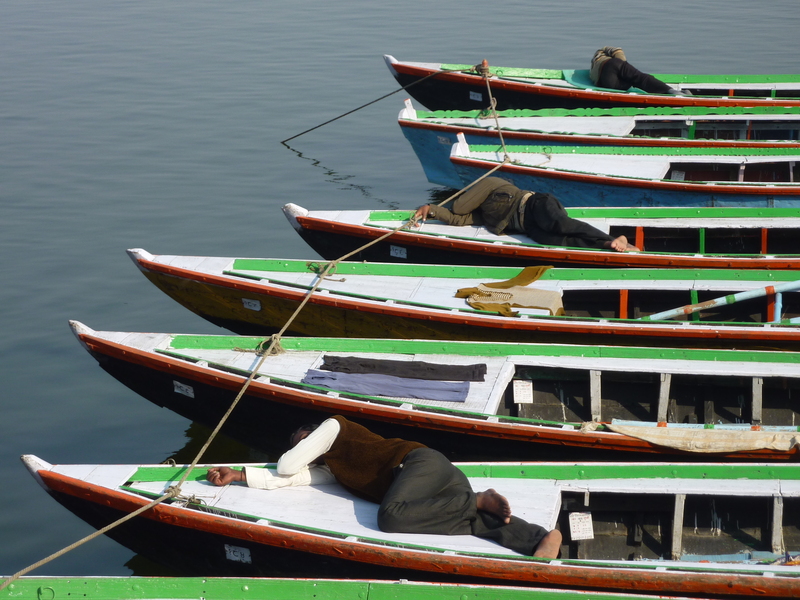 If I were asked to recommend one city to visit from among the many that I visited on my trip, it would undoubtedly be Varanasi. It’s magical and it’s mind-blowing. Go.